Understand the requirements of HAZMAT transportation and how truck drivers can avoid violations. 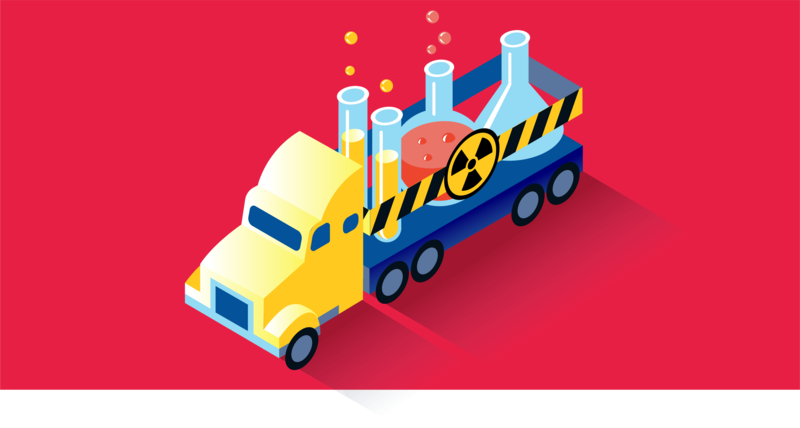 HAZMAT transportation can be lucrative for carriers but it requires understanding common Department of Transportation violations and how to avoid them in regards to hazardous materials. HAZMAT transportation can be extremely dangerous for truck drivers which is why it typically pays at a higher rate. To enforce regulations and promote the safety of HAZMAT transportation, the FMCSA conducts over 154,000 annual roadside inspections, with an estimated 35,000 DOT HAZMAT violations reported. That’s nearly 23 percent of inspections resulting in a violation! Want to obtain a HAZMAT endorsement on your CDL and potentially earn more with HAZMAT transportation? GHS Transport Pictograms Cheat Sheet for hazardous materials from Global Chemical Resources.